Barbarous hyena-men who raid villages and kidnap girl-children? Bah! Unremarkable in our world! But when these raiders retreat safely past ancient sculptures that vaporize intruders, into heretofore unopened vaults believed to hold a weapon of primal terror, and past the gates that guard ancient treasures never beheld by man? Aye! Now these are rumors worthy of adventure! What bold souls will dare pass into centuries-old chambers protected by the Many Gates of the Gann? Many Gates of the Gann includes complete descriptions and maps for a three-level adventure site, and is easily adaptable to most campaign settings. It is the latest in a series of modules designed for either independent or interconnected use. 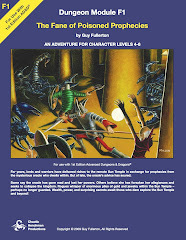 System: For use with 1st Edition AD&D, and largely compatible with 2nd edition, the Basic game, the Original game, as well as the various clones and simulacra. Format: 28 pages, saddle stitched. Retro-style detached cover with maps on the cover interior. Errata for the print version: Area 11: The third paragraph says, "... and the one-way door into area 11 opens for one turn." This one-way door actually opens into area 12. Bryce Lynch of tenfootpole.org: "Multiple levels, complex map, and some kind of weird OD&D and weird fantasy thing all bring the noise in a GREAT dungeoncrawl. This is it, this is what you’re waiting for." Martin Ralya: "The Many Gates of the Gann is one of the best OSR modules I've ever read. 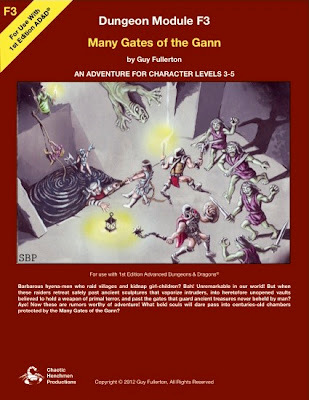 ... the dungeon is superb -- jammed with everything I like ..."
Beedo of Dreams in the Lich House: "Apes and weird science mix like chocolate and peanut butter. Giant ape-head stone guardians with disintegrator eye beams hit the sweet spot." Gus L of Dungeon of Signs: "A really classic feeling adventure with a hint of the strange. ... An excellent adventure and allows for a fair amount of strange discovery and odd moments of triumph or defeat." Ramanan Sivaranjan of Save vs. Total Party Kill: "Oh hells yes. ... There is lots to love in this module. It’s a little bit quirky and different than your typical fantasy dungeon." 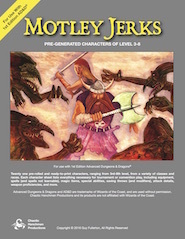 PrinceofNothing of Age of Dusk: "Everything a fan of the classic AD&D dungeoncrawling modules could ever hope and dream of. ... Well done! 9.5 out of 10." 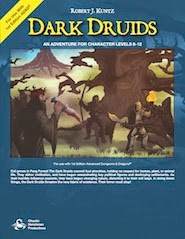 AD&D is a trademark of Wizards of the Coast, and is used without permission. Chaotic Henchmen Productions and its products are not affiliated with Wizards of the Coast.